Open gyms are a blast and can be a great introduction to joining a Recreational Class or Team. Open gym will continue from 1:15-3:15p on Saturdays. Non-member? Reserve your open gym spot. NOTE: You must select a Saturday. Already a member? Sign up. We suggest participants arrive 15 minutes early so that waivers and payment can be accomplished prior to session start. Athletic shorts and a T-shirt should be worn to open gym sessions. 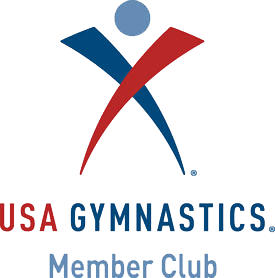 Gymnastics equipment can be damaged by clothing with buttons, snaps, buckles, belts, and zippers. Cut-off jeans, cargo shorts, and other like attire are not allowed.